This was super simple, and could literally be done with any fruit. 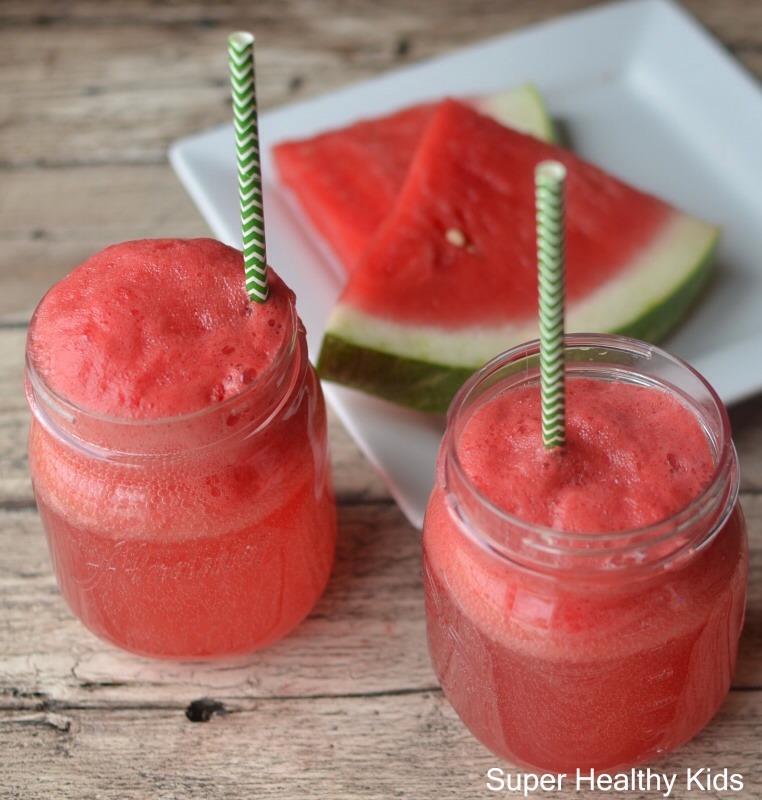 We started with 2 cups of watermelon in our blender. We added 1/2 cup white grape juice to really liquify it. 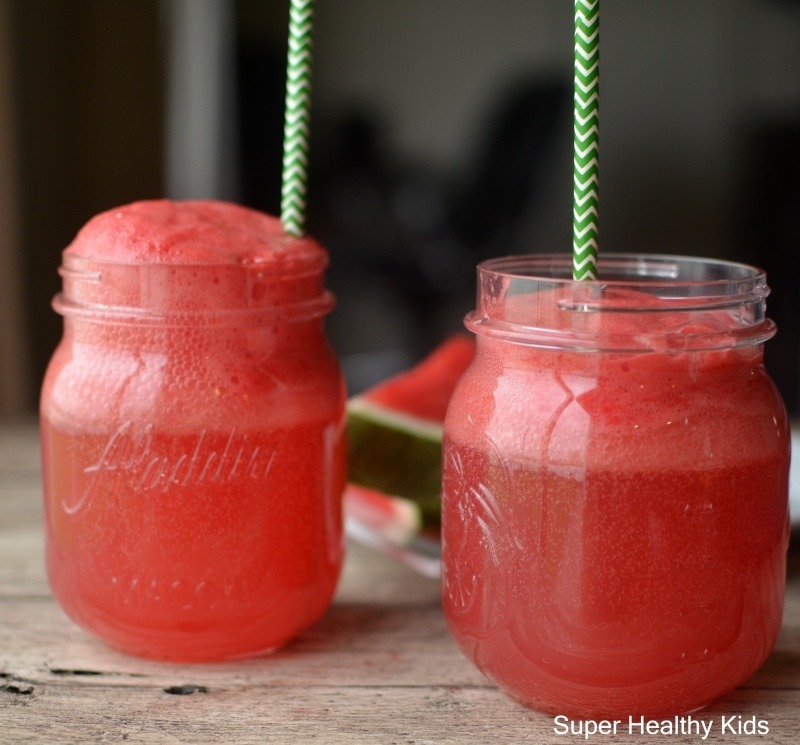 If you use fruit other than watermelon, use enough juice to thin out the fruit so it is very smooth. 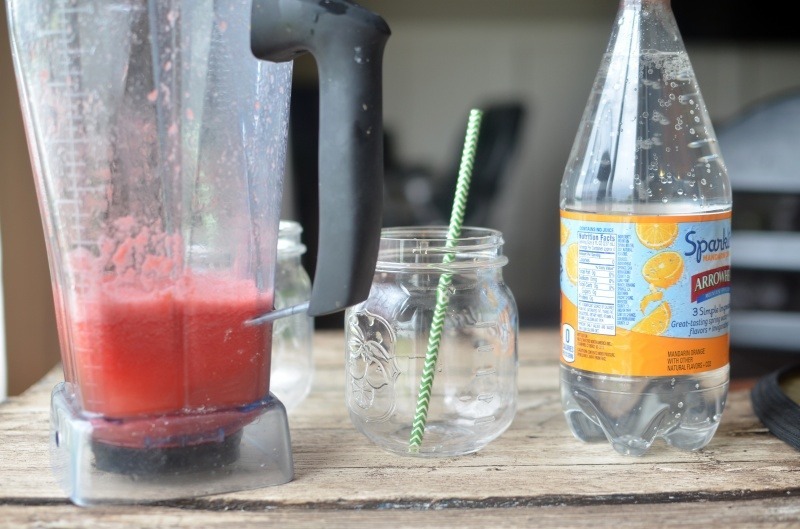 Then, we combined the fruit juice with some sparkling water. 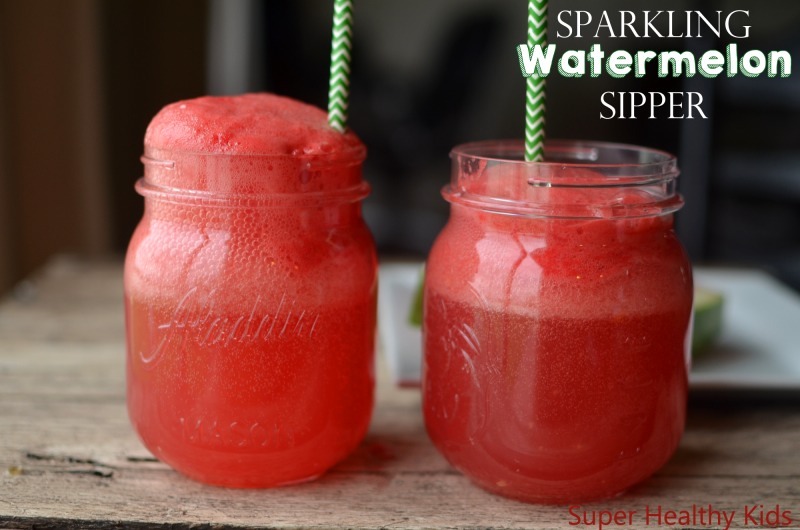 First put the fruit juice in, (about half the cup full), then fill the rest of the cup with the sparkling water.